Wake up to these awesome views! Unique studio condo boasts stainless appliances, granite countertop, breakfast bar, deck, two blocks to beach, east of Coastal Highway. 2018 Rental income net$7,024.. You can increase rental income w/potential for additional winter rental. LOW ANNUAL CONDO FEE $1800. Reserved parking 2 under building. 019 Rentals must be honored. This home built in 1900 has been completely redone with almost everything new starting in 2011. The 4 bedrooms and 2 full bathroom, 2,920 square foot home is very spacious and welcoming. It has just had a fresh coat of paint throughout. The HVAC systems were repalced 3 years ago. The other major components were replaced in 2011. There should not be any major capital expenses to a new owner for a long time. One of the bedrooms is on the first floor with the other three being on the second floor. There is a large covered side porch for your morning coffee or evening entertainment. There are two HVAC systems. One for the first floor and the other on the second floor. This should help to keep your utility bills down. Off street parking for 2 cars. Walk to downtown and all of the stores and restaurants. GREAT IESTMENT PROPERTY. BEST BUY in Mallard Lakes! The Seller used the BEST of everything when they updated their home! So many wonderful features! Enjoy views of the Largest freshwater Lake & Fountains from this Absolutely IMMACULATE Townhouse! ! Newer OVER-SIZED HVAC, Updated Kitchen w/Appliances, Counter Tops, Cabinets & Tile Flooring. 4 Season Tiled Sun Room w/Heat & AC & 6' Brick Paver Patio, Fireplace, NEWER Oversized Hot Water Heater, Walkin Closet w/Electric & Good Lighting, Replacement Windows, Newer Carpet, Double Shower head in Master Bath w/additional Cabinet. New faucets, New Toilets, Recently Painted, New Storm Door w/Hide Away Screen. This home is "move in " ready! NEVER RENTED! ENJOY all this Popular community has to Offer including 3 Tennis Cts, 2 Pools, 2 Playgrounds, 2 Basketball Cts, Shuffleboard, fishing & Crabbing with NO additional Recreation fees! This One is NOT to be missed! This home is a must see for anyone looking for a solid iestment and fixer upper or to start a new! This 4BR 2BA home is situated on a 3/4 acre lot near all of the amenities of the Rt. 54 corridor without the HOA fees. The home is being sold "as is" with no warranties expressed or implied. Come and take a look at a home with lots of potential or a new beginning in a great location. Just-right ranch on Jay Drive! This beige/white siding 4 BRs/1 bath home offers trim and tidy impression with its center sidewalk and off-shoot of curved brick paver sidewalk with gravel surround, landscaped beds and black lantern hung above black wrought iron house number. Home is welcoming offering easy 1- level living and an open-floor concept of main rooms interconnected with rich dark wood crown molding throughout blending spaces together. Large 17 x 12 LR has neutral carpeting and features ample room for coersation area with wall space to match! LR is seamless to DR and creates easy movement between rooms and great combined space, yet DR is defined with flooring and ceiling fan. Triple window sits on 1 wall, the source of abundant natural light. Kitchen is situated adjacent to both of these rooms and, in fact, has extended countertop where 2 bar stools sit perched bordering LR. Lovely way to engage both rooms with coersation! Kitchen is dramatic with its dark color cabinets accented with silver hardware and natural wood countertop. Sleek white subway tile backsplash brings contemporary flair to the room, which is further enhanced by stunning ceramic glass border. White appliances including flat cooktop round out the black/gray and white combination for striking effect! Full pantry will, no doubt, help keep canned goods and snacks organized! Bonus sunroom is bound to be family favorite! String of windows line wall and combined with ~-glass pane door create sun-splashed space. Tan carpeting keeps room cozy and neutral! It~s the perfect room to catch up on reading, play a board game or indulge in afternoon coffee with friends! All 3 BRs have beige carpeting, roomy closets, ceiling fans, crown molding and 2-tone exterior doors. 1 BR even boasts alcove that is cleverly made up of built-in shelving and serves as great computer station. Full bath has spacious white vanity for underneath storage, but also side wall cabinet for additional products. Tan ceramic tile is featured in tub/shower. Enjoy main floor laundry, which means no more trudging up and down steps carrying loads of laundry, and whole house fan, which will efficiently cool down home on warm spring eves. Perks that are perfect! Appreciate flat, generous fenced-in backyard with side patio, ideal for afternoon picnics and weekend BBQs and large shed where all outdoor equipment and supplies can be tucked away, but easy to retrieve. Plenty of parking. Nice living in New Castle! This is a SHORT SALE - Come see this well maintained Class-C home! It features an open floor plan and large kitchen, perfect for hosting guests and family. Sit on the large screened porch, enjoy the outdoors and relax! This hidden gem is in a quiet, private area (and will come partially furnished), but still close to all that Coastal Delaware has to offer - shopping, beaches, entertainment and more! WOW - this captivating 2 bedroom home is the perfect place to start a family. There is plenty of room on the .84 acre lot to host guests or enjoy being outside. There are also multiple sheds for extra storage. The interior features wood floors throughout and a floorplan that lets in all the natural light! Located just a short drive to the Delaware beaches, it could also be a great iestment opportunity. Come see this charming home for yourself! Note - this listing is pending subdivision which is in process. Or seller is willing to entertain a contract offer inclusive of the adjacent property located at 28527 Johnson Road [DESU127380]. OWN THE LAND, FREEDOM & PRIVACY, NO WATER BILLS! CUL DE SAC, LARGE LOT Still owned and enjoyed by the original owners, never rented. Attic space with pull-down stairs and baseboard elec heat. Well cared for home is located at the end of culdesac and has a lot of privacy. Fire pit in the front yard :) Great community, nestled in a picturesque hardwood setting. Come see for yourself!! This single family home is coeniently located near shopping and the New Castle Airport. Home is being sold As-Is. Motivated Seller! Make your offer today! Iestor Opportunity! This is your chance to buy a property that is a blank slate and make it exactly what you want. The home is being sold AS IS. The heating system has been replaced and serviced recently. Work on the home was completed by Service Master, ioices available. Beautiful Modular Home in the amenity rich community of POTNET LAKESIDE. Well maintained year- round living or vacation home in a community full of amenities. This is a triple-wide modular. Home features 3 bedrooms and 2 full bathrooms, a huge screened in porch and a shed. Enjoy entertaining on your porch. This home close to the lake and community pool. The home has some upgraded landscaping. Amenities include: community center, private beaches, fishing, pools, tennis, playgrounds, walking paths, seasonal entertainment, boat slips, marina, electric golf carts are allowed and more. A Must See!! Purchase subject to park approval; credit check, background check and income review. 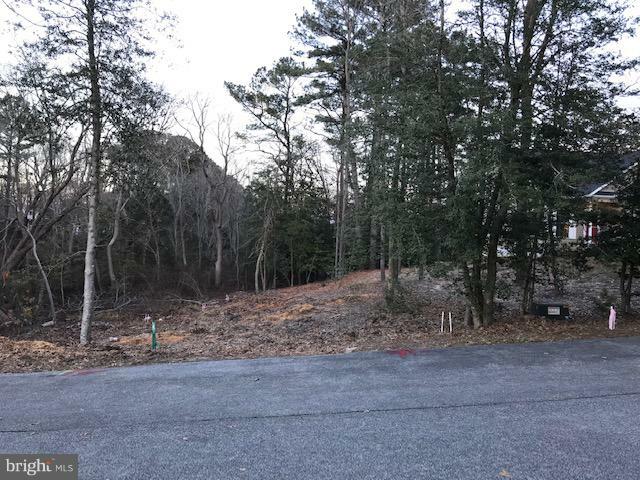 A beautiful cleared lot that is ready for you to build your dream home on. This lot backs up to a canal. The utilities are already in place & the impact fees have been paid. No builder tie in & no required timeline that you must build by. Fenwick Shoals is a small gated community, with a community clubroom & pool. The beaches are just over 2.5 miles away. Close to restaurants, shopping, & a live entertainment venue. Low HOA fees & taxes. Call for easy gate access. Great corner lot with canal view. This lot has water rights for the use of the boat ramp in Sunset Harbor. No Builder tie-in. Buy this lot and build your Custom Home on this unique lot. 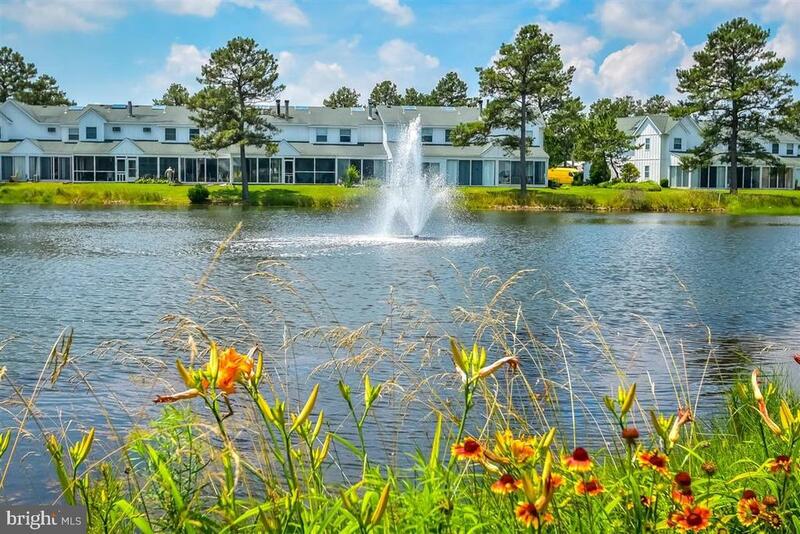 Just 3 miles to downtown Bethany Beach, Restaurants and Beaches. Close to Ocean City, MD but with low property taxes and no sales tax. Just 10 Miles to Ocean City, MD and just 20 minutes to Rehoboth Beach, DE Outlets. Impact fee of $6,360. 00 for sewer hookup which will increase on 7/1/2019. $1,500 impact fee and $660 tapping fee for water hookup. 30' setback from Erie Rd., 15' setback from entrance Rd, 10' setbacks from rear and adjoining lots. A perfect water view lot, for you to build your dream home on. This flat, cleared lot backs up to the water. The utilities, including central water & sewer, are already in place and the impact fees have been paid. Fenwick Shoals is a small gated community, with a community clubroom and pool. The beaches are just over 2.5 miles away. Close to restaurants, shopping and live concert venue. Low HOA fees & taxes. Whether you are sitting on the dock and watching the tide or waking up and then going just steps to get on your boat, this is paradise! Waterfront lot with a 50ft private boat dock. You can put your boat in the water just across the canal and dock it at your house. Beautiful views and a peaceful setting makes this property a must have. You are right on Cedar Creek and moments to the Delaware Bay and Atlantic Ocean. You are right next to the Town of Slaughter Beach that hosts an annual Sail Boat Regatta and Slaughter Beach is a haven for wildlife lovers. You can enjoy beach walking, swimming, sailing, bird watching, and biking. You are also moments to the Prime Hook National Wildlife Refuge where you can enjoy more trails and wildlife sightings. Marina and Boat Storage Facility nearby. 1.5 miles to the Dupont Nature Center, 25 miles to Rehoboth Beach DE and Delaware Seashore State Park including Cape Henlopen State Park, 50 miles to Ocean City, MD, and approximately 100 miles to Philadelphia PA and Washington DC. Home on the property is a mobile home with an added bonus room that has a wood stove and amazing views! The Spartan trailer is surrounded by 5 pilings on each side and a has a pitched roof above. Being sold "as is" and will need an new septic. Engineering and Site Evaluation has been completed. Septic Inspection completed in 2016 and is on file with DNREC. Iestment Opportunity! Current rental income $1,450 per month . 5 BR, 2BA, 2,160 sf, electric heat window a/c, only 23 years old!